I saw your post on Dynabeads. What about Centramatic tire balancers? I’ve had a set on my Gold Wing for years and have been very happy with them. I think you just answered your own question: If you’ve had a set on your bike for years and been very happy, then I will be forced to agree they’re great. You don’t work for Centramatic, do you? Not that I’d ever heard of Centramatic until until you brought it up. Looks like they work on the same principle as Dynabeads, just in a completely different way. 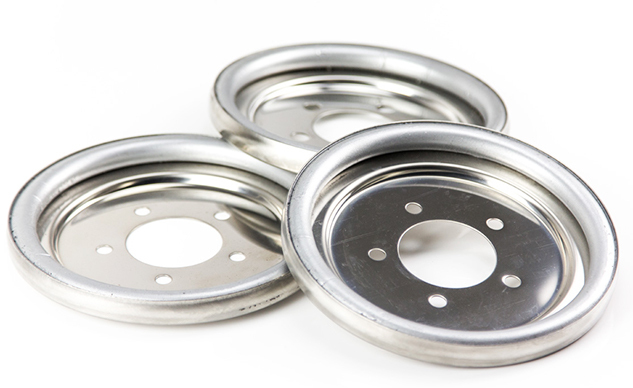 Instead of putting a bunch of beads inside your tires, the Centramatic contains its moveable weights (small steel shot) inside a disc that you mount to your wheel. Just like Dynabeads too, these started out as a way for big truck fleets to save time and money. Through the miracle of some property of physics only Kevin Cameron understands, the balls, beads, or whatever find their way to the light side of the wheel/tire assembly to balance it. The Centramatic also contains a bit of synthetic oil to let the steel shot move even more freely. Proponents of things like Dynabeads and Centramax say they’re superior because they’re constantly rebalancing your wheels as the tire wears in a way that fixed weights cannot, resulting in a smoother ride all the time along with longer, more even tire wear. Dynabeads and similar products are cheap enough and reusable. With the Centramatic balancers, a big advantage is you mount them to your wheels (behind the brake discs) once, and forget about ever having to balance tires again. The downsides to the Centramatics are, for one thing, initial cost: A set of three balancers for a Gold Wing retails for $289.95 – which might be a good investment if these really do make tires wear longer, and if you know you’re going to be wearing out two sets of tires a year until you or the Gold Wing keel over (we’re not betting against the Honda). Another downside to the Centramatics is weight; we’re told by the manufacturer that the Gold Wing set adds 34 ounces to the front wheel assembly (two balancers at 17 oz each), and about 20 oz to the rear wheel. On a sportbike, that would be unacceptable. On a big touring rig, not a big deal. Which is fine, since Centramatics are only available for big touring rigs like Gold Wings, Harleys, Victorys, Indians and Can-Am Spyders. But, Dynabeads claims to get the job done with only a few ounces of material. Dynabeads and Centramatics both sound like a great deal for people who like to change their own tires and not have to fool around with unsightly balance weights afterward. Thanks for sharing, Mr. Jones. Is a Polaris Slingshot a Good First Motorcycle? Why Did Kawasaki Detune the New Z900RS, Why?